View More In Collectible Buildings & Accessories - Page 9. 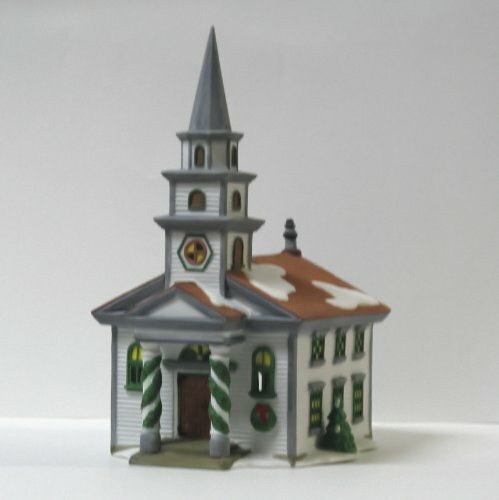 PORCELAIN wood church with a steeple rising in three tiers over the main entry. Pillars at the front doors are wrapped in green garlands. The windows on the side of the church are double tiered. Arlington Falls Church was introduced in 1994 and retired in 1997. Size 7" x 6" x 10"
If you have any questions about this product by New England Village, contact us by completing and submitting the form below. If you are looking for a specif part number, please include it with your message.